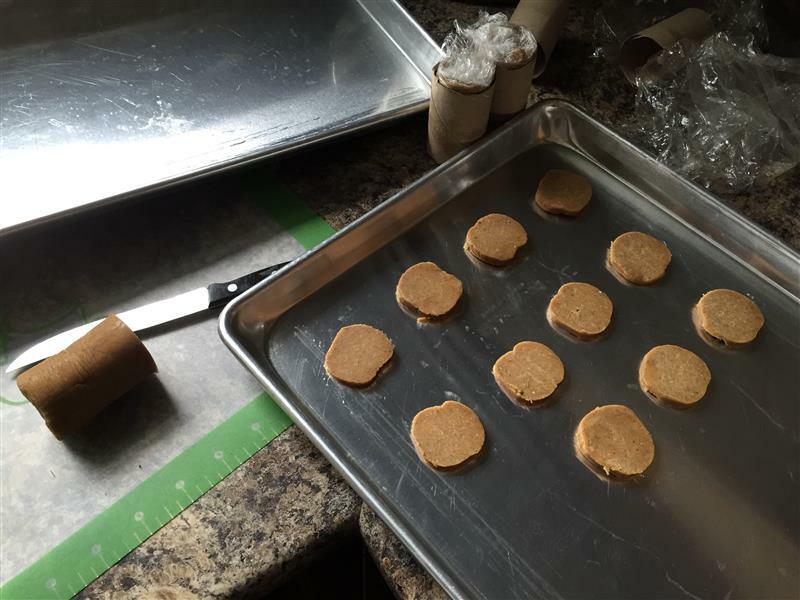 This week, the Baking Bible bake-through project is working on something that sounds (to me) Dutch, but tastes like a gingersnap. It’s definitely not pepernoten. It’s definitely not speculaas. It’s definitely not gingerbread. Quite gingery, with the other spices fading a bit into the background as supporting actors. I mixed up the dough on Saturday, then baked these up this afternoon. The recipe said that once you’d mixed the flour into the creamed sugar and butter, it should look like a fluffy buttercream. To me, it looked kind of like cookie dough. *shrug*? Like a fluffy buttercream? Not really. After the dough has been refrigerated for an hour or more, you’re ready to shove it into cut up paper towel tubes. Yup, you read that right. 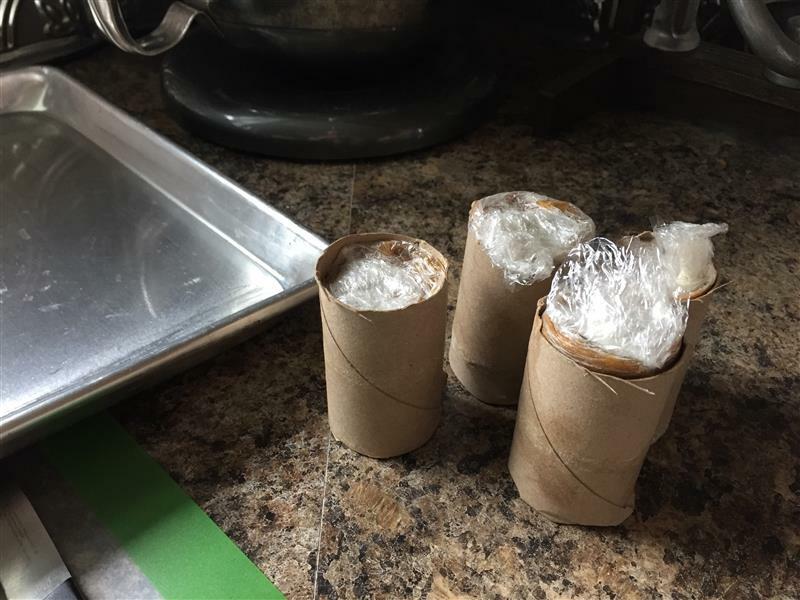 Make 4 little logs of dough, wrap them each in plastic wrap, put them in the tubes, then press down. This step makes the log perfectly round. I never would have thought of that. Into the freezer, for 8+ hours (or, in my case, overnight). Get a sharp knife, or be patient and give them 15 minutes to soften. I went with sharp knife. Slice them up into 1/8th inch slices or so, and attempt to reshape anything that flattened. I sprinkled turbinado sugar on top. The recipe called for pearl or demarara sugar, and I’m pretty sure demarara’s just another name for turbinado. I also figured that would go nicely with the flavours involved. I really like these. Slightly chewy in the center, quite gingery, with a little bit of black pepper spice. Lots of molasses flavour. You can barely taste the cinnamon, but I’m sure you’d notice if it was missing. Jay likes them, too, so… win? I also made chocolate chip cookies this afternoon, from this recipe (thanks to Evil Cake Lady for the pointer way back when). Unfortunately, my beater blade gave up the ghost on the second batch of cookies for the weekend. Oh well. It’s replaceable, and I’ve got the metal one that came with the stand mixer in the meantime. Again, please excuse the mess while I’m migrating my blog from one host to another. I’ve got all my content imported, but pictures don’t all seem to have quite made it over right. I think that’s the last attempt at a full import I’m going to do, though, and I’ve pointed the old domain to the new host. I’ll fix the rest by hand, gradually. I’m pretty sure all the pictures are here, they’re just not linked properly. 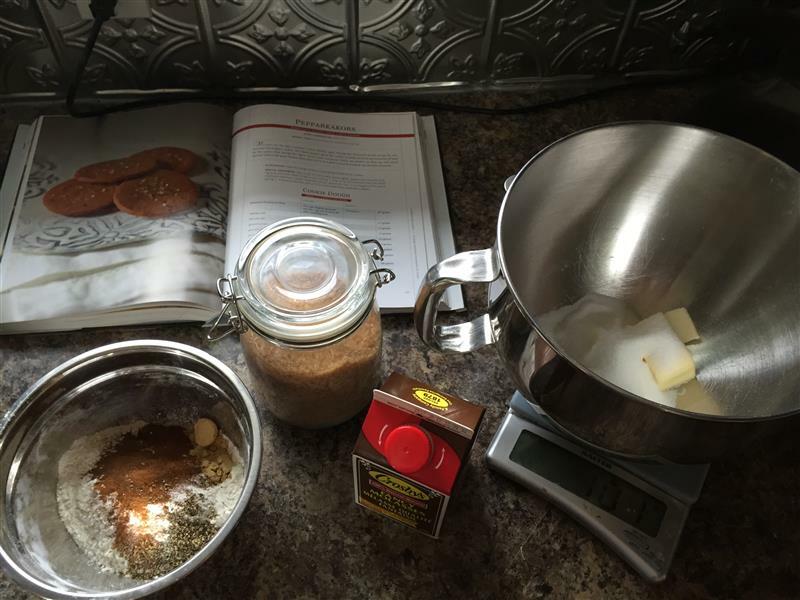 Posted on September 14, 2015 September 14, 2015 by KristinaPosted in The Baking BibleTagged cookie, ginger, molasses, spice. 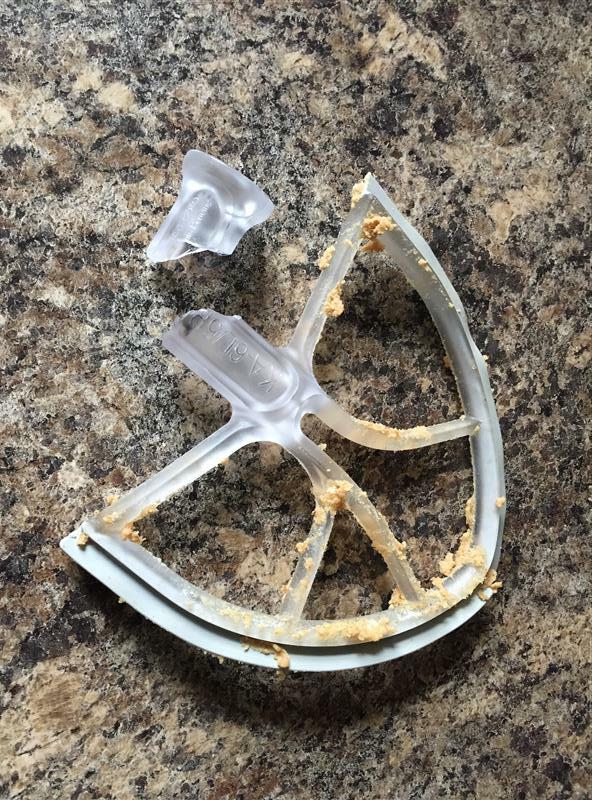 just FYI, if you contact the company they will replace the beater blade. it’s not meant to mix very stiff doughs such as cookie dough but it doesn’t say this on the packaging! Thank you, Rose! That never would have occurred to me! They came out nicely shaped! Bit tricky stuffing that dough into the paper tube, that was. I’ve yet to bake mine so I hope they look as nicely shaped as yours, but they aren’t for company so I guess it doesn’t matter! I’ve never seen a beater break like that before. Must have been a shocking surprise. The paper towel roll–I just didn’t get that trick. 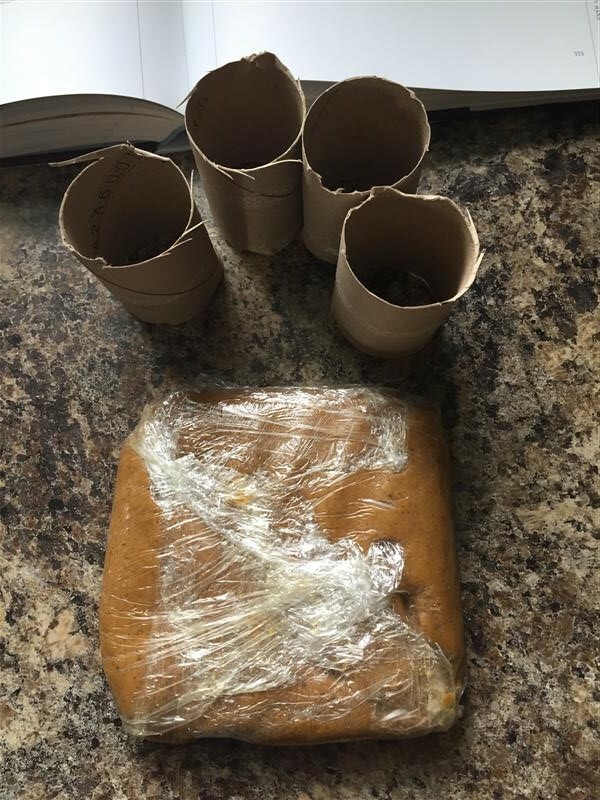 I was worried that the cardboard would stick to the dough, but I see you kept it in plastic wrap. Ah well, too fussy for me. Nice job. I really liked this recipe. I like the look of your new blog! Did you like the whole wheat cookies? I can’t believe your better blade broke! And your pepparkakors look yummy. 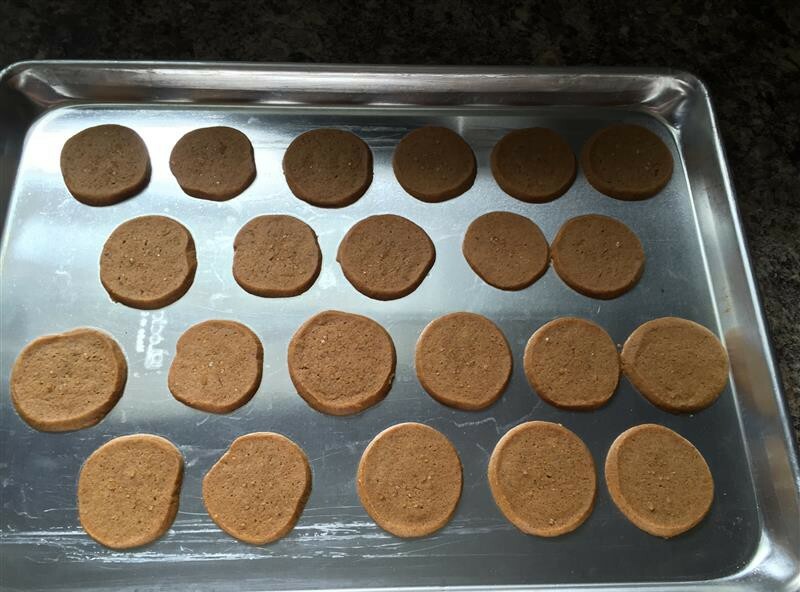 Your cookies looks so pretty and evenly round! Oh..and now seems like it is so much easier to access to your website instead of getting error message. Hey, Kristina: your cookies look terrific! I broke my beater back when we made gingersnaps. 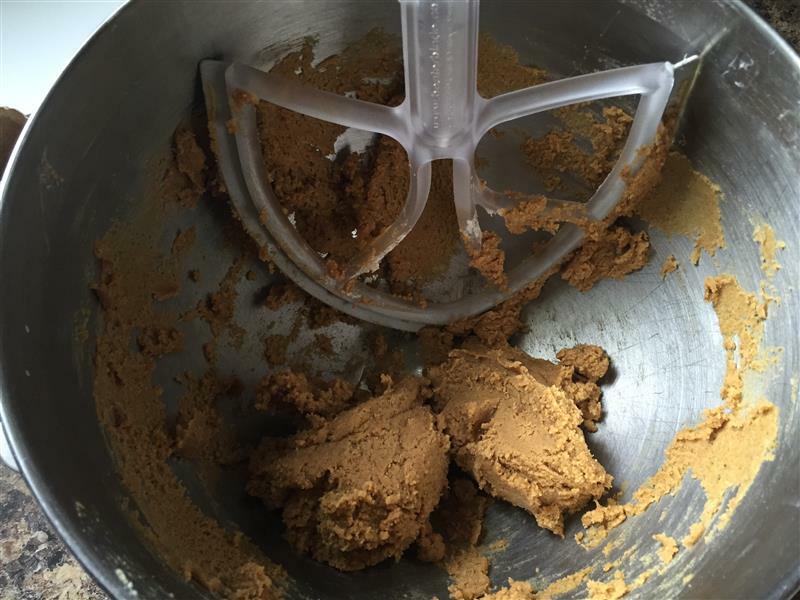 FYI, if you are ever making a really big batch of cookie dough, you might want to try the dough hook once you get past the basic mixing stage, it works like a charm! Anyway, I love these cookies and was particularly happy with the spicy variation! I hope you will stop by my blog and see my results if you get a chance. The turbinado looks really pretty, especially since you managed to cut the cookies really neatly. Bad luck on the beater blade, surprising it seems to be made out of plastic. PS. I had no trouble accessing your blog this time, hurray!